Why have one gin when you can two? This pair of glasses will add a little sparkle to your drink with their diamante crystals and spiral design. 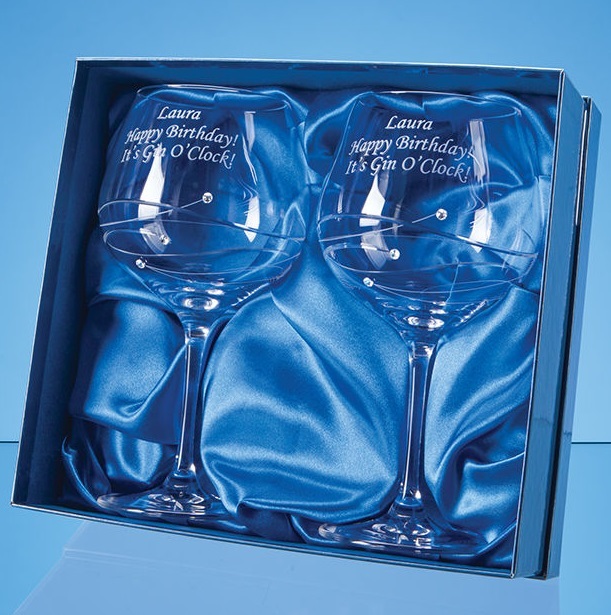 They can be engraved with any wording image, crest or logo making them a great choice for either personalised or corporate gifts especially when they are presented in their satin lined gift box. The individual glass measures 210mm x 100mm and weighs 210g.